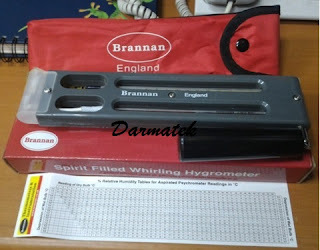 Brannan 13/744/2 -- Whirling Hygrometers are instruments for measuring the water content of the air in Percentage Relative Humidity (%RH). They can also be used to calculate the Dew Point when used with the relavent tables. We offer a selection of hygrometers including wet and dry bulb masons hygrometers, hair hygrometers and whirling hygrometers. 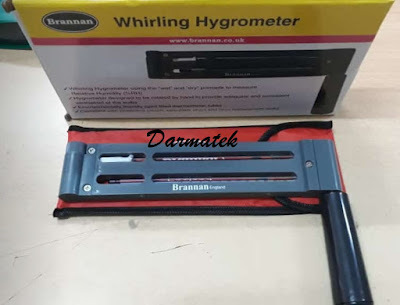 Whirling Hygrometers, also known as sling psychrometers or aspirated hygrometers, employ the "wet" and "dry" bulb principle to determine %RH. They are designed to be rotated by hand to provide adequate and constant ventilation of the bulbs.